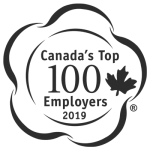 Canadian companies and organizations must meet some pretty tough criteria to be chosen as Canada’s Top 100 Employers. As part of this process, employees are asked to complete an extensive application process which include HR and operational practices. When you consider that more than 30% of all visits to physicians are stress-related, then factor in challenges around employee retention, sick leave, anger and irritability, mental health, poor memory, low quality of work, and fatigue, it goes without saying that regularly scheduled chair massage sessions may prove to be the easiest return on investment. Contact us and get a quote about our Ongoing Workplace Health & Wellness Plan, and we’ll fill you in on the details.